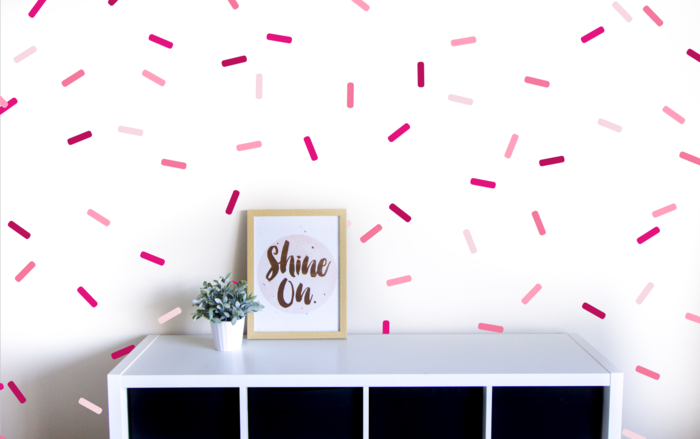 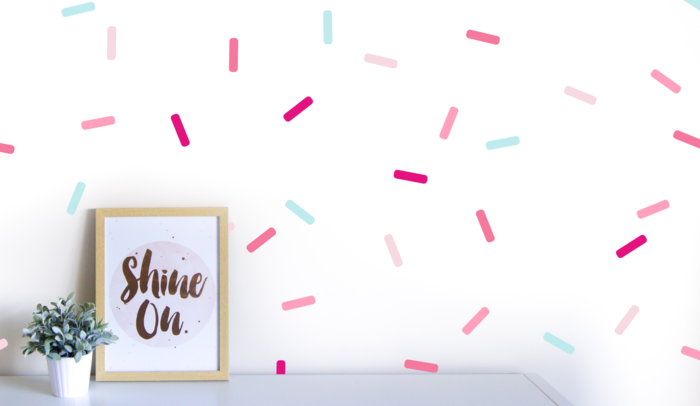 These gorgeous and fun sprinkle wall decals will look amazing scattered all over you wall or ceiling. Giving your room a fun burst of colour. 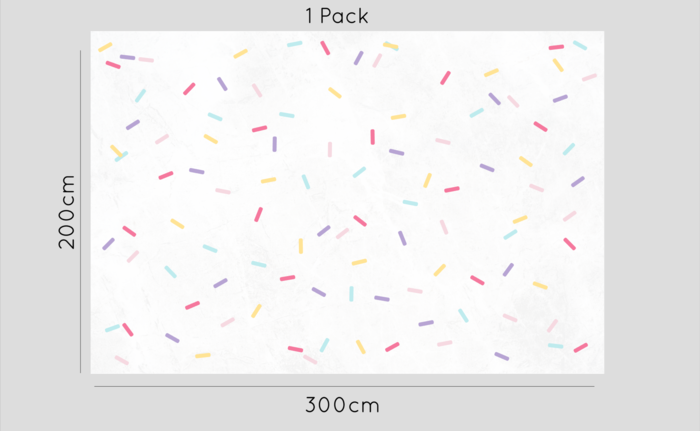 With 105 sprinkles in our bulk pack, this will have enough sprinkles to fill a standard 2x3 meter wall (see image). 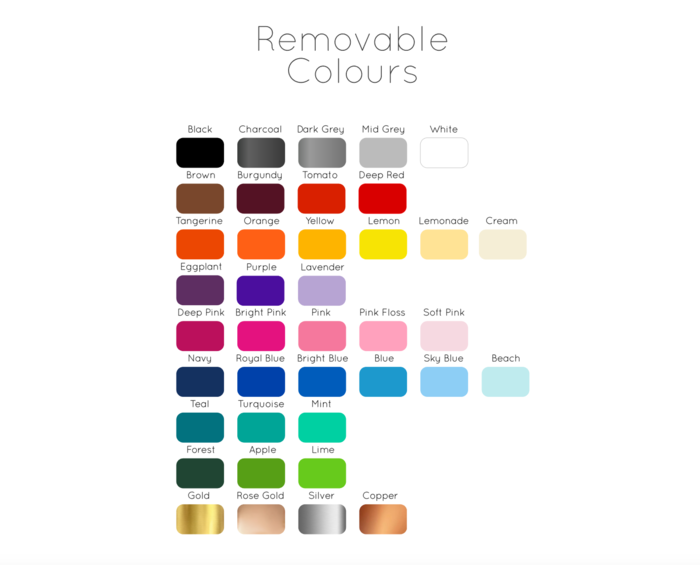 Choose 1 colour from the drop down menu or select ‘more than 1 colour’ and write your choice of up to 5 colours in message to seller when checking out.